We had already spent a great week around Jordan and were looking forward to spending a couple of relaxing days at the Red Sea in Aqaba. 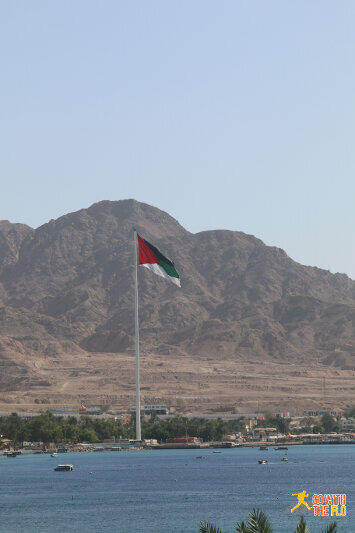 Nested in between Saudi Arabia (not sure how much fun a beach vacation would be there) and a narrow stretch of Israel, Aqaba is Jordan’s main (and only) port and vital access to the sea. 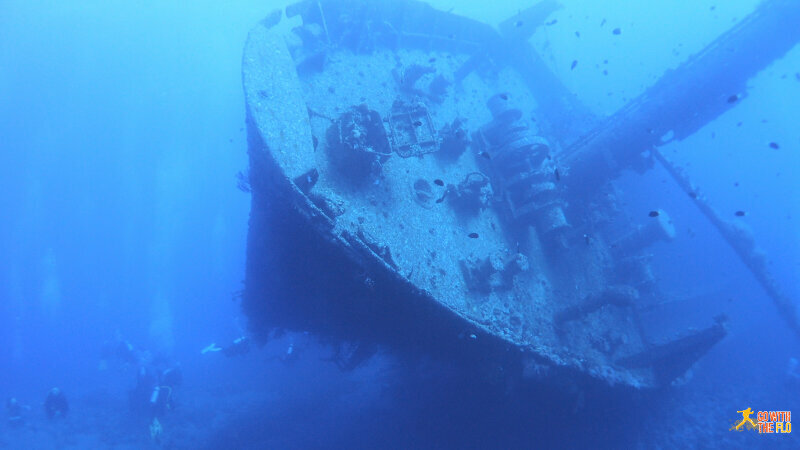 Along with its Israeli neighbor Eilat and Egyptian Taba further down the coast, it is well known for diving and its beaches and a popular getaway for Europeans during winter. We opted for one of the main resorts (the Intercontinental in our case) as the accommodation scene is more or less limited to a few higher-end resorts. 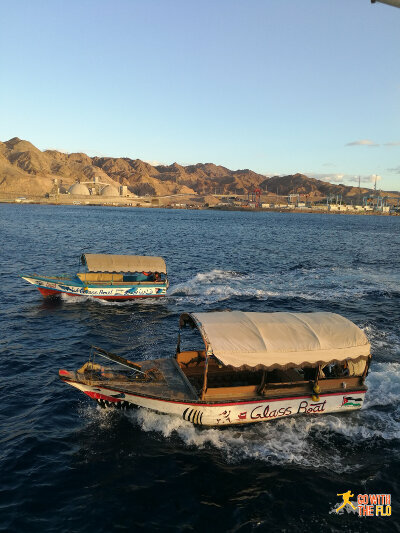 While short on true tourist highlights, Aqaba is a pleasant and laid-back city to spend a few days in, alternating between lazing on the beach and diving and enjoying the night life and food (at least that is what we did). One day we went for two dives with Ahlan Diving Center. A really chilled day with a nice crew. 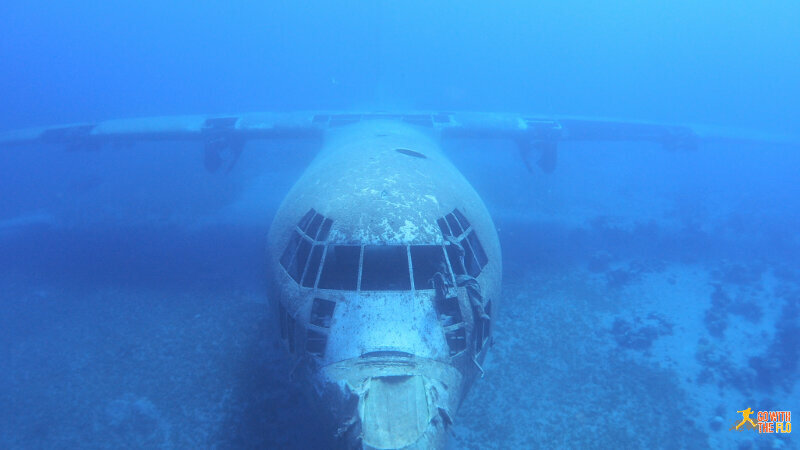 The Jordanian King is apparently an avid diver and has sunk a couple of “things” off the coast, including a cargo ship, an aircraft and a tank. Unfortunately every vacation ends at some point and we had to start our journey back home. As our airline had decided to cancel our flight out of Eilat, we had to take a car all the way back to Amman. But thanks to Jordan’s well built roads, the trip just took 3.5 hours on the Desert Highway. Jordan is well worth a visit and comes highly recommended. Rarely have we been to such a diverse country with so much to see within such short distances. Renting your own car and driving is no issue at all and Google Maps is your friend. Food is top notch, tourist numbers are still not too high and the weather could not have been better!